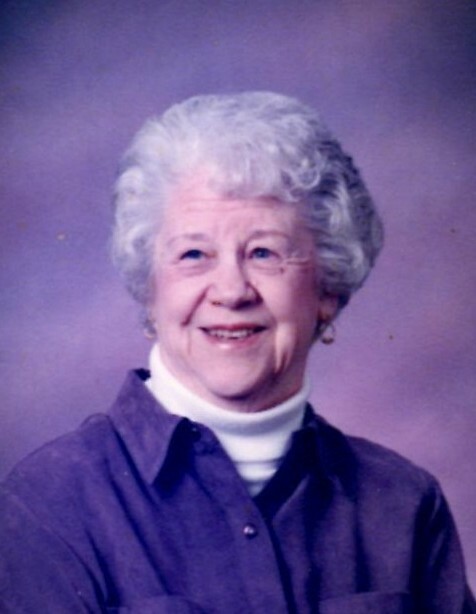 Evelyn V. Frome, age 95, of Neenah, passed away on Monday, November 26, 2018. She was born February 13, 1923, in Colby, daughter of the late Louis T. and Dorothy A. (Fink) Kauffman. Evelyn was united in marriage to Edwin A. Frome Jr. on February 23, 1943. He preceded her in death in 1995. Evelyn is survived by her daughter: Carol (Ray Arthur) Domkowski; three sons: David (Kay), Richard (Evelyn), Robert (Dorothy) Frome; seven grandchildren: John Domkowski, Jason (Anne) Frome, Jill (Kevin) Knapp, Colee Frome, Michael (Diane) Frome, Douglas Frome, Patrick Frome; nine great grandchildren: Carl, Carson, Cameron, Rachael, Andrew, Brayden, Jackson, Samuel, Lucille; three sisters-in-law: Joyce, Carolyn, and Betty Kauffman; and also survived by many nieces, nephews, and other relatives and friends. She is further preceded in death by her grandson, Todd Domkowski; sister, Ethel (Art) Van Sleet; brothers, Maynard Kauffman, Allen and Laverne Kauffman. Memorial services will be held at 12:00 noon on Saturday, January 26, 2019 at the Kessler Funeral Home, 304 S. Commercial St., Neenah. Visitation will be held from 11:00 a.m. until the time of services.